In a recent article, David Gumpert expertly dismantles the state of Minnesota’s conclusion that raw milk is a terribly dangerous food. 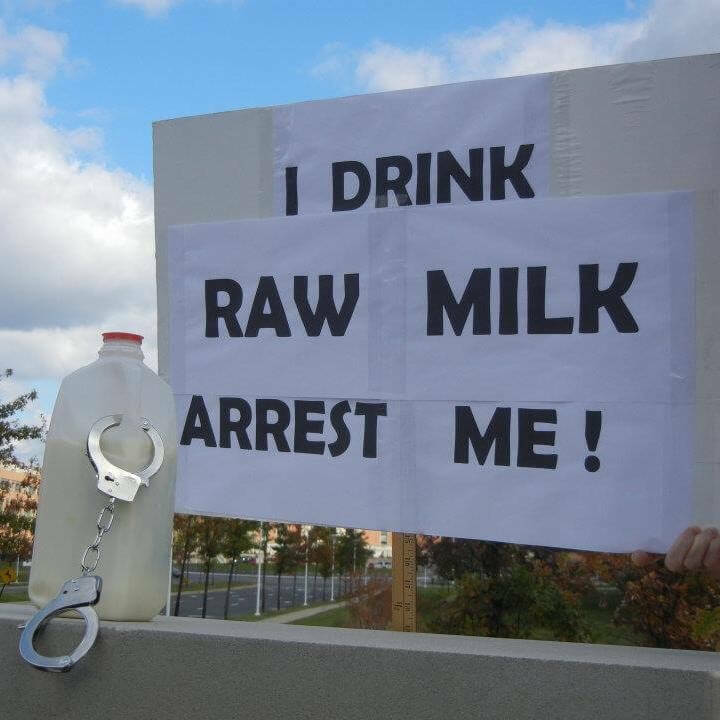 As a long-time raw milk consumer, it is interesting to note that where their intimidation-through-force tactics have failed, they are now resorting to distorting data to play mind games with raw milk consumers. The past several years, Minnesota department of agriculture has spent countless hours and funds trying to destroy raw milk farmer Michael Hartmann, farmer Alvin Schlangen, and even went so far as to threaten criminal charges against peaceful families acting as drop sites for farmers they knew and trusted. With each subsequent failure on the part of the MDA, they got more aggressive. Apparently the “spade” they had up their sleeve was making up tens of thousands of illnesses attributed to raw milk. How do ordinary people counter these types of aggressive actions from the well-funded department of health? Buy local and support your farmers! There are many resources available for this including FarmMatch. Once you have a farmer you know and trust, it helps to refer your friends. Thanks for helping to keep sustainable farmers on the land!